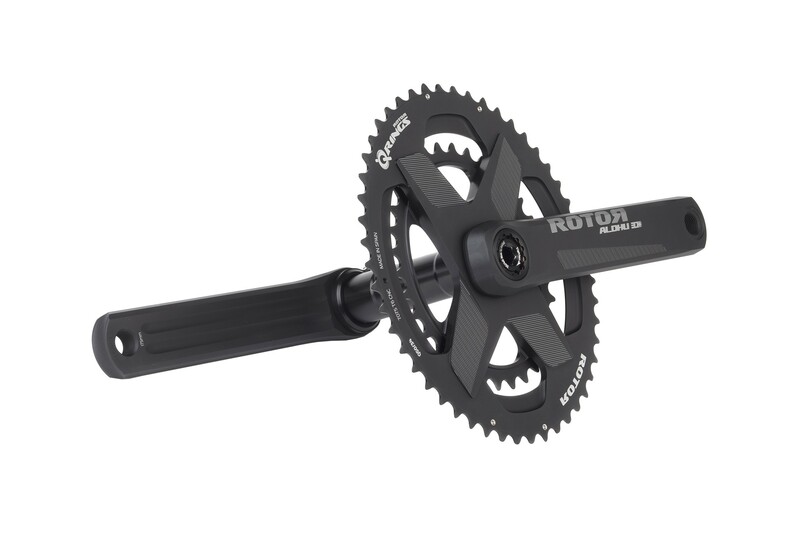 ROTOR’s new ALDHU 3D+ crankset is something that we spotted at both this year’s Eurobike and Interbike shows, which recently landed back on our radar screen. Presumably designed to work with ROTOR’s elaborate hydraulic UNO groupset, which still hasn’t fully made its way to market yet, the ALDHU marks the Spanish brand’s lightest crankset to date, weighing in at an impressive 599g, thanks to the liberal use of 7055 aluminum, a modular spider and chainring assembly and the conspicuous absent of “hardware”. Above and beyond its lightweight bragging rights, the ALDHU boasts versatility as well, whereby cyclists can configure the modular crankset to either a double or single chainring set-up in 50/34, 52/36 and 53/39 combinations, along with crankarm lengths of 170mm, 172.5mm and 175mm. 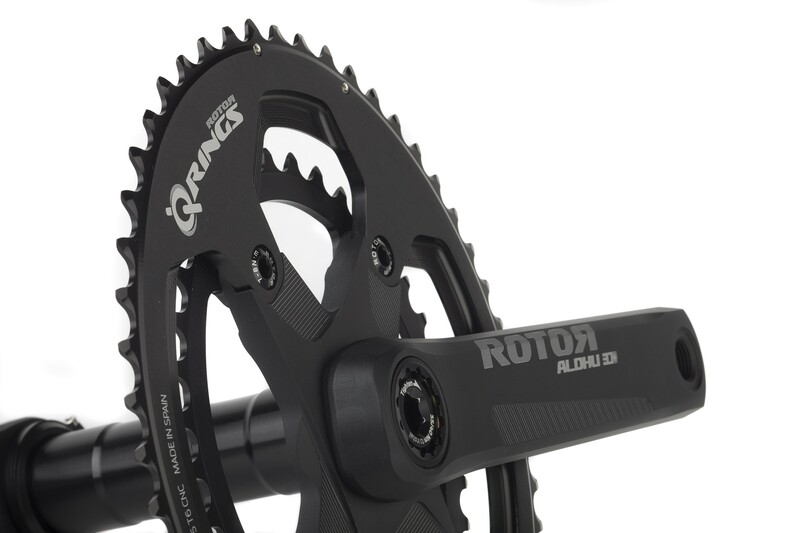 In addition, the ALDHU incorporates ROTOR’s OCP Mount technology, which allows for the “tuneability” of the chainrings in one-degree increments, based on the number of spline patterns and chainring/crankarm and crankarm/spindle combinations it affords. 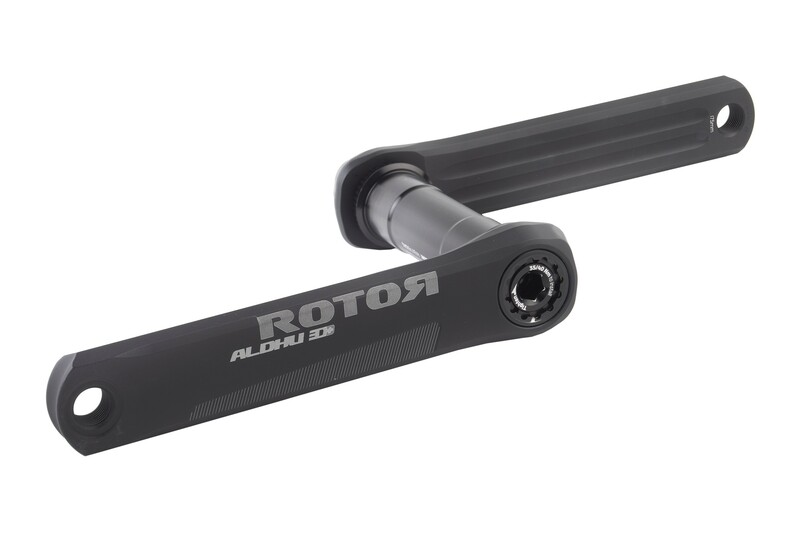 This is accomplished by ROTOR’s unique bottom bracket design, which features five different mounting positions for the crankarms, while the spline pattern of the direct-mount spider also enables further fine-tuning. This in turn, allows for almost infinite fine-tuning of the crank-to-axle position and the ring orientation relative to the crankarms. 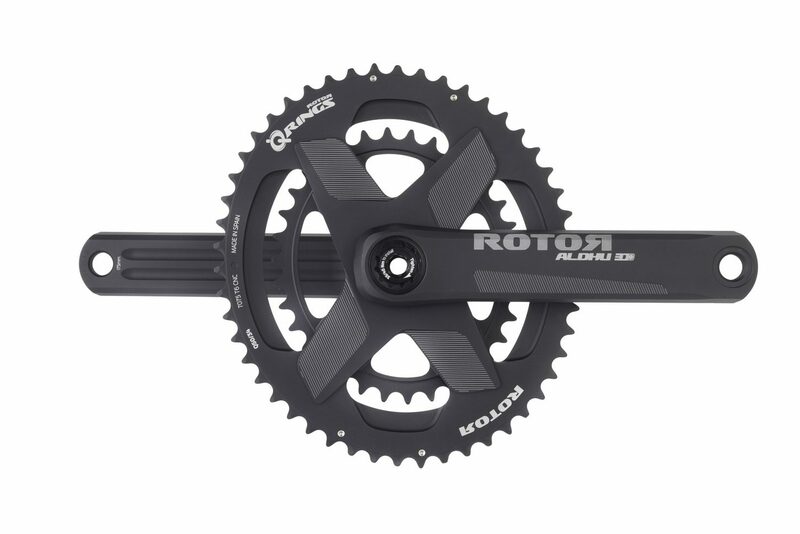 According to ROTOR, the ALDHU draws its name from the Spanish rider and brand ambassador, Carlos Sastre, who won the infamous climb of Alpe d’Huez during the 2008 Tour de France. The ALDHU 3D+ is available as a complete crankset for $500. So, when we set about creating our new ALDHU 3D+ crankset, we poured all the knowledge and effort from our professional athletes and expert engineers into producing our most advanced and complete crankset ever. OCP Mount’s patent-pending, proprietary technology allows you to precisely adjust your optimal chainring position to within one degree increments. ALDHU 3D+ responds to your individual biomechanics allowing you to configure your unique OCP (Optimum Chainring Position) so that your maximum power transfer is activated at the most optimized point of your pedal stroke. We take meticulous care when crafting our ALDHU 3D+ crank arms using aeronautic-grade 7055 aluminum. The sophisticated 3D+ CNC process drills three full-depth holes from axle to pedal employs micro structural engineering technologies. 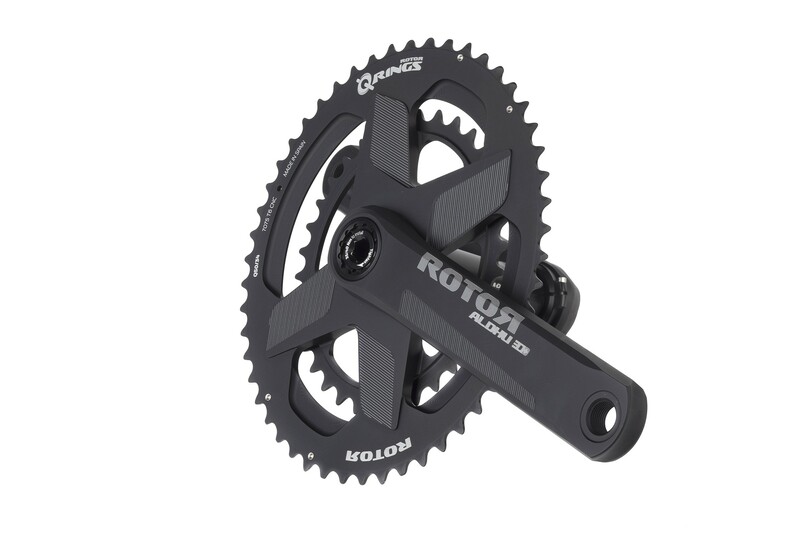 The result is a crankset with superior rigidity and an exceptional stiffness to weight ratio that can handle anything you can throw at them on the toughest of rides. ALDHU is an abbreviation of the mythical Alpe d`Huez stage on the Tour de France to commemorate ROTOR ́s first iconic victory with Carlos Sastre in 2008. We’ve created our most advanced crankset ever so you can conquer the most prestigious and steepest of climbs.